With the influence of LA roots, The Garland can accommodate any dining experience. Whether it's a handcrafted cocktail enjoyed poolside or a meal in the comfort of your guestroom, see what we have in store for you below! A neighborhood gathering place showcasing LA's diverse food culture in a setting as casual and comfortable as an evening at your neighbor's house. Come on over anytime and we'll set you a place around the table. Brunch is available on Saturdays and Sundays. Spend the day lounging in the lobby where you can sip on a refreshing drink, or enjoy a delicious cocktail by the pool. 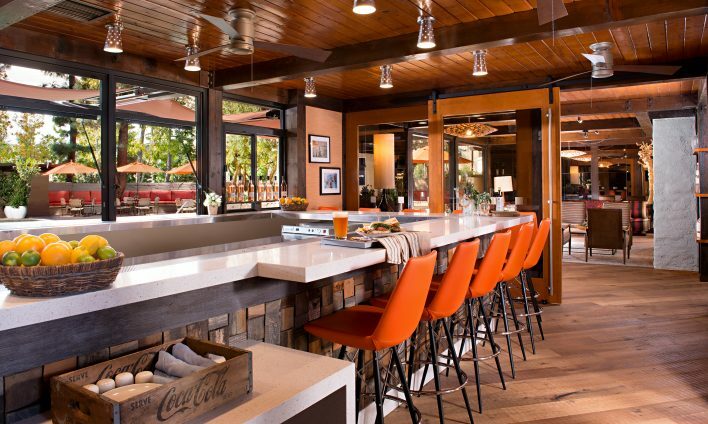 The Lobby Bar features a unique California setting where you can meet and mingle and start off a wonderful night! The Front Yard gives a whole new meaning to the word comfort with our available in-room dining options. 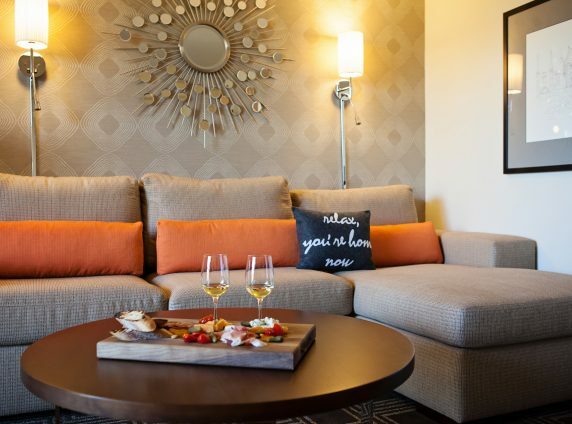 Enjoy food and drink in the comfort of your guest room or picnic style at one of the nearby LA attractions. To place an order, call extension 7285 from your guestroom or 818-255-7290 direct from the outside.